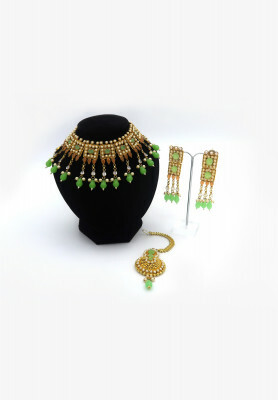 Full bridal jewelry set, with Choker, ear-rings and Tikli. 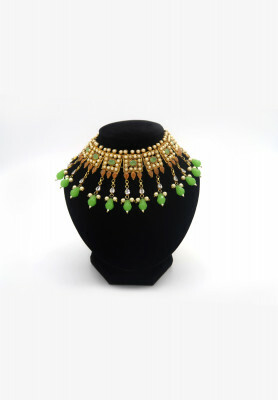 Elegant design with green stones and artificial pearls. 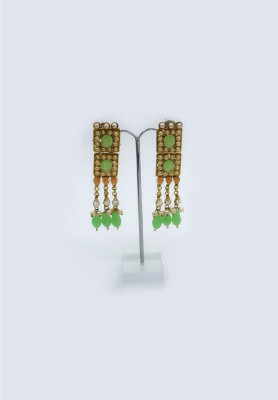 Product is also available for rent.